Harald Rösch joined Melita in April 2016. Previously he was CEO of Blizoo (largest cable operator in Bulgaria), CEO of Kabel Baden-Württemberg (3rd cable operator in Germany), CEO of HanseNet (number 4 broadband operator in Germany) and head of the Internet division of Telecom Italia. 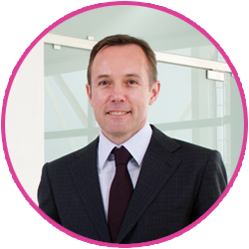 He also worked for 6 years at McKinsey&Co and held several Board positions including Sky Deutschland, United Digital Group, Internetstores and Seat Pagine Gialle. Harald holds an MBA from INSEAD. Randolph Said joined Melita in 1998 and was promoted to Group CFO in 2018. During his financial career with Melita Randolph has held many roles across all major areas of finance including risk management, M&A and financing as well as contributing to strategy development for the group. In addition to his experience at Melita, Randolph has worked within financial management in the retail, manufacturing, hospitality and entertainment industries. 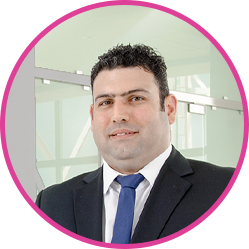 Randolph is a qualified accountant and a member of both the Association of Chartered Certified Accountants and the Malta institute of Accountants. 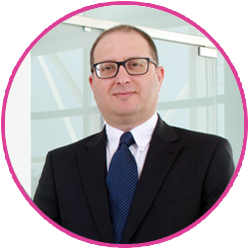 Simon Montanaro joined Melita at its inception in 1991 and was promoted to the Chief Technology Officer (CTO) in 2009. In his role, Simon leads the day to day management of Melita’s physical network, technical support and ICT platforms, as well as leading the strategic development and deployment of Melita’s fast evolving technology capabilities and service portfolio. Simon holds a Diploma in Management from Henley Management College and is a Member of the Society of Cable Telecommunications Engineers (SCTE). Fortino Capital is a Brussels-based investment company, co-founded by Duco Sickinghe, Renaat Berckmoes and Baudouin Jolly, which focuses on private equity and venture capital. Combining strong management backgrounds, extensive global networks and leading success in innovation, Fortino Capital supports the management of its portfolio companies from a strategic, operational and commercial perspective. Purpose built facility, Melita Data Centre, opens.